No musical instrument has a greater role to play in the human experience than the piano. Since 1700, it has brought music to life inside the home as well as the concert hall thanks to those who choose to teach the combination of theory, technique, style and creativity that is piano pedagogy. If teaching is your passion, consider a degree in piano pedagogy. Piano pedagogy at TCU combines extensive course work with simultaneous hands-on teaching experience. Regular observation of teaching and discussion of teaching strengths and weaknesses allows student teachers to develop teaching skills throughout their study. The Master of Music in piano pedagogy degree provides advanced training in piano pedagogy to strengthen musical scholarship and performance, to prepare students to teach studio and class piano, to conduct research in their field, to write papers suitable for publication and to present lectures and workshops on pedagogical topics. The Master of Music Education in piano pedagogy provides advanced training in piano pedagogy to strengthen musical scholarship and performance, to promote philosophical and psychological understanding in music education, to prepare students to teach studio and class piano, and to provide opportunities to explore specific interests of teaching of the individual student. The Doctor of Musical Arts in piano pedagogy degree provides advanced training in piano pedagogy to strengthen performance and musical scholarship, to prepare students to teach at a university, to conduct research in their field, to write papers and documents suitable for publication and to present lectures and workshops on pedagogical topics. The Doctor of Musical Arts in piano performance with cognate in piano pedagogy provides a focus on piano performance with advanced training in piano pedagogy to prepare students to teach at a university, to conduct research in their field, to write papers and documents suitable for publication and to present lectures and workshops on pedagogical topics. While pursuing a degree in piano pedagogy, undergraduate and graduate piano pedagogy students teach pre-college students enrolled in the Pedagogy Laboratory Program, a two-year program of beginning piano instruction combining both class and private instruction. Graduate students also teach college-level piano classes, non-music major piano classes, adult hobby piano classes and college students studying piano as an elective. Our students complete their studies in the perfect position to teach others, whether they choose to establish their own music studio, or teach in a community school or university setting. Our piano pedagogy students bring a sense of excellence and dedication to helping others use music to explore the intersecting worlds of emotion and sound. The piano pedagogy professor will work with you to choose the right combination of courses and mentor you so you can reach your goals. Schedule one-on-one meetings with your career consultant to learn more about everything Career Services has to offer. Graduate Assistantships in Piano Pedagogy are awarded to full-time students on a competitive basis based on the prospective student’s academic experience, teaching experience and favorable recommendations. To be considered for a graduate assistantship, the application process, including an on-campus audition and interview with the Director of Piano Pedagogy, must be completed by the last audition date. 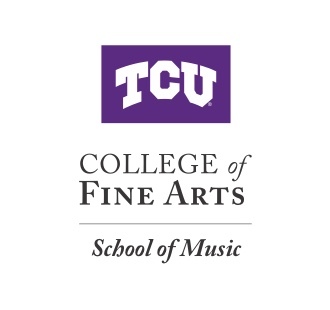 Prospective students should refer to the TCU College of Fine Arts Graduate Studies for more information about the application and audition process. Graduate assistantships provide tuition grants and may offer stipends. Tuition grants cover the number of semester hours in the degree and may offer stipends of approximately $4,500 per semester; $6,000 per semester for doctoral students. A graduate assistantship in piano pedagogy with both tuition grant and stipend requires 10 hours of work experience weekly. An assistantship with only a tuition grant requires five hours of work experience weekly. Assistantship loads generally include a combination of teaching and non-teaching responsibilities. Teaching assignments may include the following: private or group piano lessons in the Pedagogy Laboratory Program or the TCU Music Preparatory Division, class piano for college non-music majors, applied lessons for college elective students, adult hobby piano classes through TCU Extended Education or assisting with the Early Childhood Music Program. Non-teaching duties may include assisting in the Music Preparatory Computer Lab, Piano Pedagogy Resource Center, or Music Preparatory Library. The Piano Pedagogy Resource Center, located in Walsh 136, is designed to provide a place for piano pedagogy students to study, practice, prepare course projects, and prepare teaching assignments. The Center provides an ever expanding variety of teaching materials and standard literature including average-age beginner methods, preschool piano methods, adult/hobby texts, class piano texts, graded solos, supplementary collections by educational composers, collections of standard piano repertoire, ensemble literature, Christmas music, and hymn arrangements. Materials for sight reading, technique, theory and ear training are also available. The Center also serves as the primary class room for piano pedagogy courses and student teaching experiences. Students have access to a Yamaha Disklavier, computers, a stereo, a DVD player, digital video recording equipment and a variety of teaching aids. The music preparatory library houses a wide variety of teaching and standard literature which serves as a reference library for all music prep teachers. Computer lab sessions are available to students enrolled in the music prep department. A variety of popular music theory software and Midi accompaniments are housed in the computer lab.